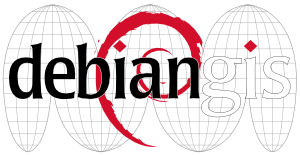 Set of Debian packages which are dealing with GPS devices and data. With gpsd, multiple GPS client applications can share access to devices without contention or loss of data. Also, gpsd responds to queries with a format that is substantially easier to parse than the different standards emitted by GPS devices. This package contains auxiliary tools and example clients for monitoring and testing gpsd. Map-based navigation system that displays the current position provided by a GPS receiver on a zoomable map. Maps can be downloaded from different map providers or rendered on-the-fly using the OpenStreetMap dataset. Route planning, optionally with spoken directions, is supported through waypoints. Convert GPS or GPX file to ESRI/Shape file. Include the tools gps2shp and gpx2shp. These are very useful when using collected GPS points with existing GIS tools like qgis and GRASS. MTKBabel is a command line program to operate the i-Blue 747 GPS data logger. It should work also with other GPS devices based on the MediaTek MTK chipset. For instance the Holux M-241 GPS data logger, the Holux M-1200E, as well as the 747 A+ GPS Trip Recorder, are also known to work. The Debian packaging for navit doesn't provide any map. To see, where you can get maps from, see http://wiki.navit-project.org/index.php/Main_Page#Maps. This package contains the GTK+ GUI plugin. OBDII is a standard for getting diagnostic information from your car. The main tool, obdgpslogger, is a command-line tool to log that data, with your gps position, to a sqlite database. Provided alongside are various tools used to convert logs to formats such as CSV or Google Earth KML. Also contained in the package is an OBDII and ELM327 simulator, obdsim, that uses plugins to generate data. The purpose of this software is to log GSM data, together with GPS coordinate. The result can be sent to their website, in order to build a free database. They store GPS quality, speed, GSM signal strength, etc. to keep a high quality of data. This package provides a versatile tool for GPS maps in GeoTiff format as well as Garmin's img vector map format. You can also view and edit your GPX tracks. QMapShack is the successor of QLandkarteGT. Use several maps on a workspace. This package contains the graphic gtk-drawing-area plugin to use with GTK+ aware GUIs plugins.